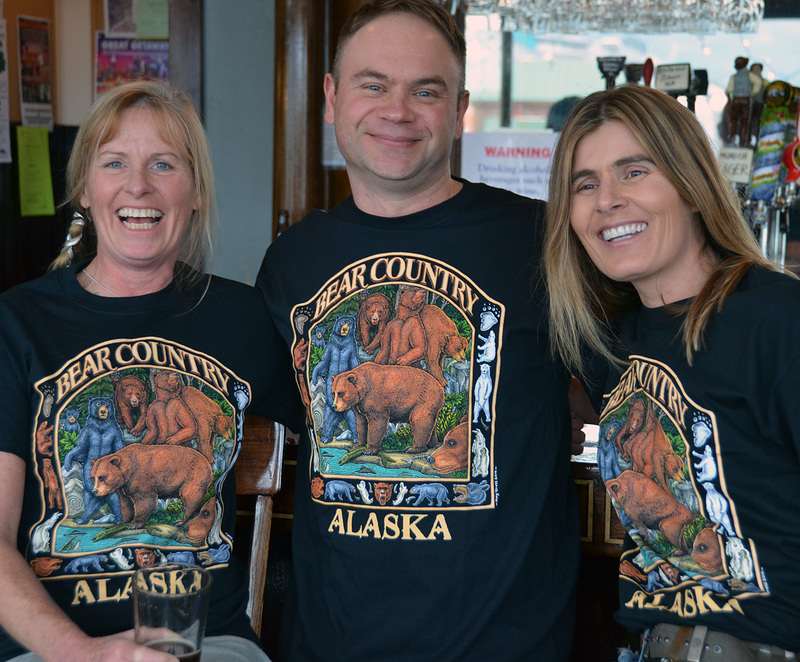 A couple of years ago Sylvia Ettefagh asked me to do a special T-shirt design for Wrangell Alaska’s annual Bearfest. 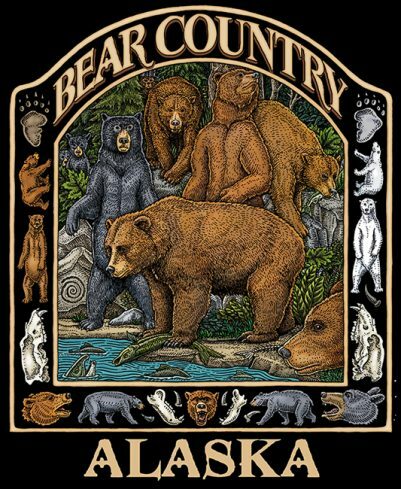 It took a little while to clear the decks but I carved out a chunk of time to do this elaborate drawing depicting all three species of Alaskan bears: brown, black, and polar. The festival is a great mix of science, art, music fun and adventure. If you time it just right you can sign up to visit the amazing Anan Creek during the height of the annual salmon run. Anan is truly unique in that both brown bears and black bears come down to the river’s edge to snag salmon.